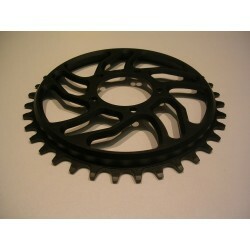 This chainring 36 teeth really improve your BBSHD / BBS03. 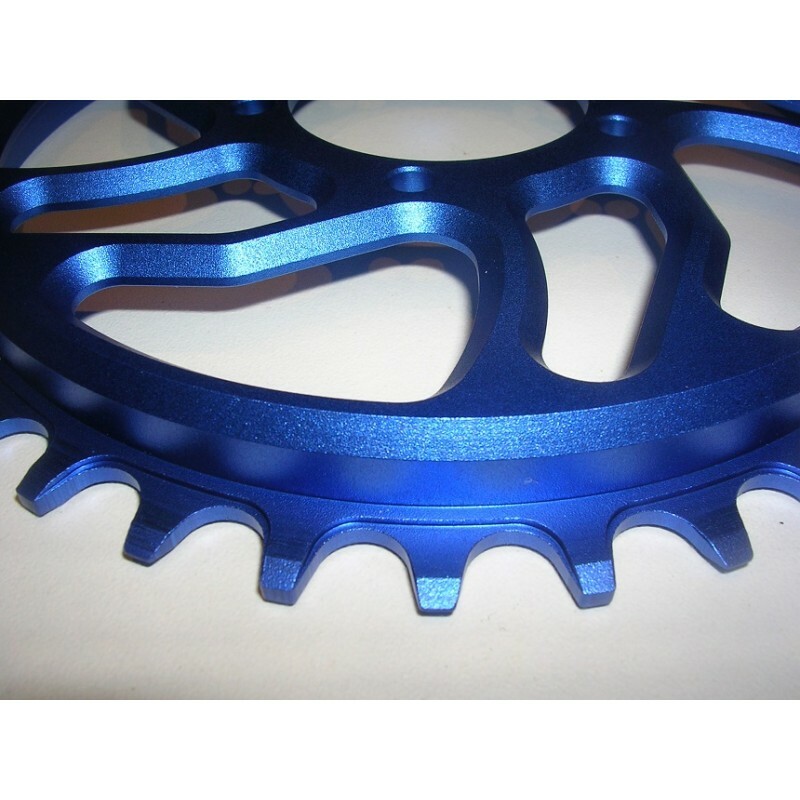 On our test mountain biking, we were able to reach 34mph with an amazing torque compared to the steel chainring 46 teeth. This chainring is perfect for MTB use. The PreciAlps chainring is designed in France. 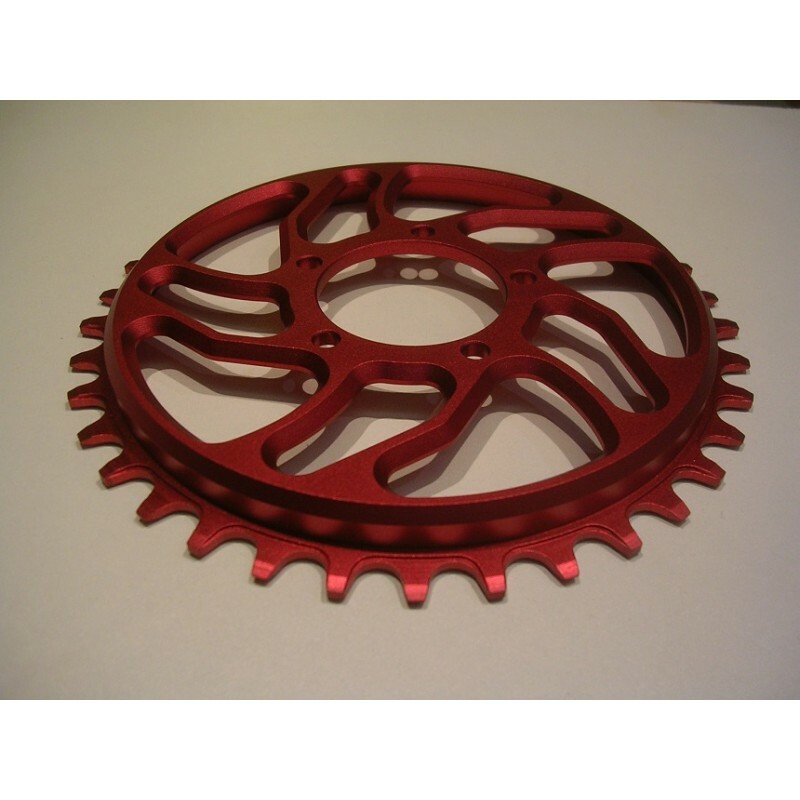 This chainring is machined with a CNC machine, the 36 teeth narrow wide is specially designed for retained the chain. 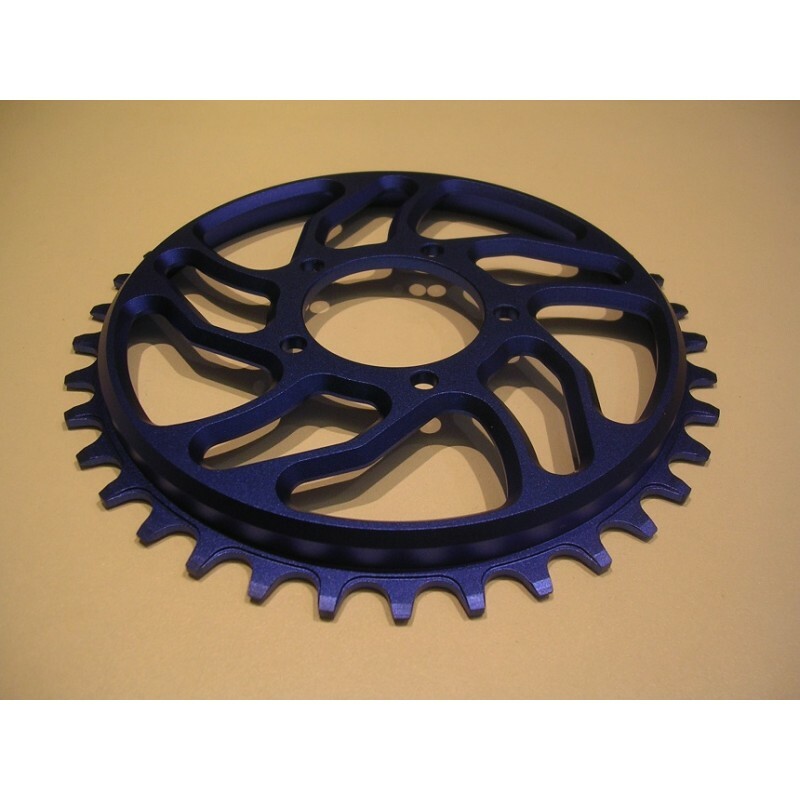 If you want to customize your bike with a BBSHD, this chainring is very light only 3.5oz instead of 19oz for the original steel chainring. 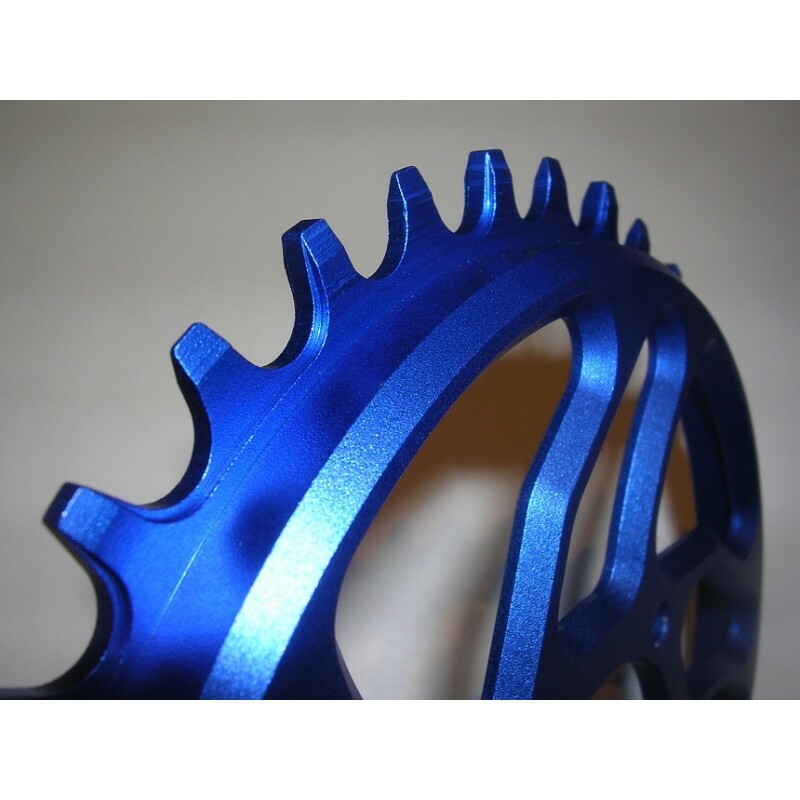 If you want to improve performance, the PreciAlps chainring might be for you. 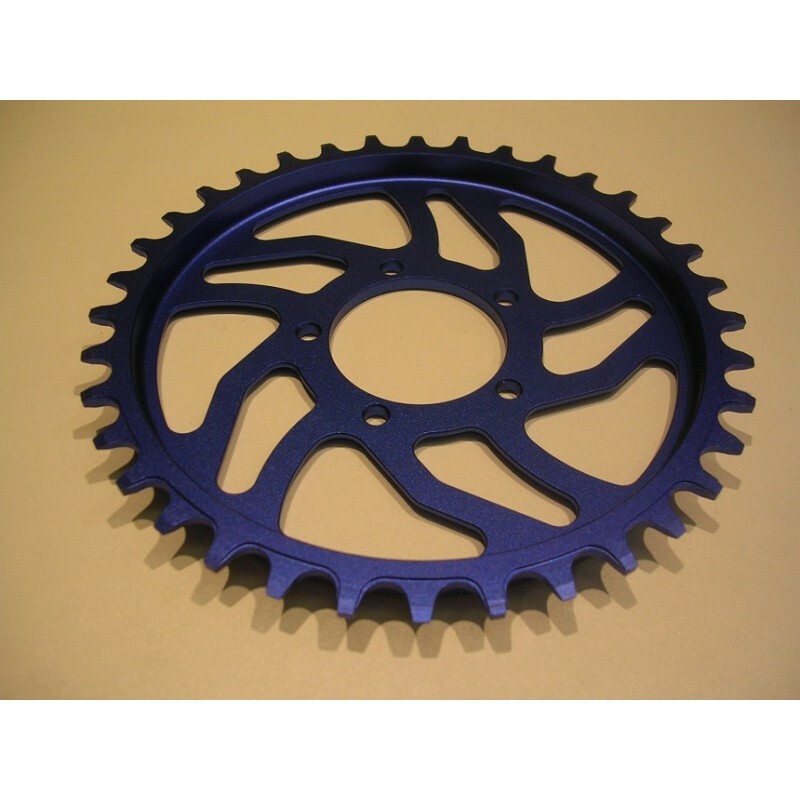 Weight: 3.5oz instead of 19oz for the original steel chainring.